Cholera - body, last, causes, What Is Cholera? Cholera (KAH-luh-ruh) is an acute * infection of the small intestine * that can cause severe diarrhea (dye-uh-REE-uh). Cholera is an illness caused by the bacterium Vibrio cholerae, which is contracted by eating contaminated food or drinking contaminated water. The bacteria can cause serious diarrhea by producing a toxin that makes the intestines release more water and minerals than usual. The disease has a 1 to 5 day incubation period (the time between infection and when symptoms appear) and progresses very quickly. Most cases of cholera are mild, but in about 1 of 20 cases the disease is serious. If left untreated, severe cholera can lead to death from dehydration within hours. With treatment, the death rate is less than 1 percent. Cholera has been rare in industrialized (or highly developed) countries such as the United States since the turn of the twentieth century, thanks to improved sanitation and water treatment. However, cholera is still common in other parts of the world, including India and southern Asia, parts of Africa, and Latin America. In 1991, an epidemic * of cholera occurred in South America and some cases appeared in the United States shortly thereafter. Most cases of cholera reported in the United States can be traced to travel to an area where cholera is endemic * . * acute describes an infection or other illness that comes on suddenly and usually does not last very long. * small intestine is the part of the intestine—the system of muscular tubes that food passes through during digestion—that directly receives the food after it passes through the stomach. * epidemic (eh-pih-DEH-mik) is an outbreak of disease, especially infectious disease, in which the number of cases suddenly becomes far greater than usual. Usually epidemics are outbreaks of diseases in specific regions, whereas worldwide epidemics are called pandemics. * endemic (en-DEH-mik) describes a disease or condition that is present in a population or geographic area at all times. How Do People Contract Cholera? Cholera is spread when people eat food or drink water that has been contaminated with feces (excreted waste) containing Vibrio cholerae. Risk factors for epidemics of cholera include unsanitary and crowded living conditions, war, famine (scarcity of food), and natural disaster. For example, following a natural disaster such as a hurricane or flood, supplies of drinking water can become contaminated. The disease is most frequently spread in areas with poor sanitation and water treatment facilities. During outbreaks of the disease, cholera may spread by contact with the feces of an infected person; Vibrio cholerae can live in feces for up to 2 weeks. It also spreads when people use contaminated water for cleaning or waste disposal. 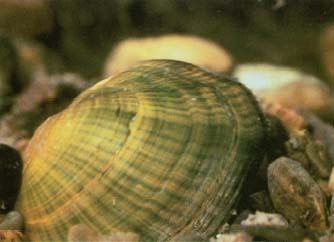 Eating raw or undercooked shellfish can be another source of the illness because the bacteria can survive in slow-moving rivers and coastal waters. The few cases in the United States are typically caused by contaminated seafood from the Gulf of Mexico or seafood brought home by people who have traveled to other countries. What Happens to People Who Have Cholera? Signs and symptoms The major symptom of cholera is diarrhea, which can be severe and cause up to a quart of fluid loss per hour from the body. Diarrhea caused by cholera is painless, with stools that are fishy smelling and watery, often with flecks of mucus * in them (these are sometimes called "rice water" stools, because they look like rice floating in water). * mucus (MYOO-kus) is a thick, slippery substance that lines the insides of many body parts. Until the late 1800s, cholera was a very real threat in the United States, and the numbers of cases often reached epidemic proportions. In 1849, the immigrant boat John Drew brought cholera to the city of Chicago, where 678 people died of the disease that year. By 1870, cholera was no longer a major threat in the United States because of improved sanitation and water treatment. However, the disease continues to be a significant concern in other parts of the world. In 1961, a pandemic (an epidemic that occurs over a large geographic area) that began in Indonesia spread to Bangladesh, India, Iran, and Iraq by 1965. In 1970, cholera appeared in West Africa, where it had not been seen in 100 years. It eventually became endemic to most of the continent. Most cases of cholera are mild or moderate, and they can be difficult to distinguish from other causes of diarrhea. More serious cases can cause severe diarrhea, vomiting, and dehydration. Signs of dehydration include decreased urination, extreme tiredness, rapid heartbeat, dry skin, dry mouth and nose, thirstiness, and sunken eyes. Eating raw or undercooked oysters, crabs, or shrimp that have come from polluted waters is one way to contract cholera. Outbreaks have been associated with seafood from the Gulf of Mexico. The disease associated with this type of cholera bacteria is less severe than that caused by types seen in Asia. Because the symptoms of cholera are often identical to those of other illnesses that cause diarrhea, knowing that a person has traveled to a country where cholera is endemic is important in helping a doctor make the diagnosis. Blood and stool samples can be taken to look for signs of the bacteria. Treatment of cholera can be very simple and effective, especially if it is given soon after symptoms appear. Rehydration, or replenishing the body with fluids, is the most important part of treatment. This can be accomplished most effectively by drinking a mixture of sugar, salts, and clean water, known as an oral rehydration solution. The World Health Organization has an oral rehydration solution that is distributed worldwide through the efforts of the United Nations. In the United States, solutions can be bought or mixed at home. Such solutions replenish the fluid and salts lost by the body due to diarrhea and vomiting. More serious cases of cholera may require intravenous (in-tra-VEE-nus) fluids, or fluids injected directly into a vein. Antibiotics, which are given in severe cases, can shorten the time that the symptoms last and help prevent spread of the disease to others. * seizures (SEE-zhurs) are sudden bursts of disorganized electrical activity that interrupt the normal functioning of the brain, often leading to uncontrolled movements in the body and sometimes a temporary change in consciousness. * shock is a serious condition in which blood pressure is very low and not enough blood flows to the body's organs and tissues. Untreated, shock may result in death. * kidneys are the pair of organs that filter blood and remove waste products and excess water from the body in the form of urine. * coma (KO-ma) is an unconscious state in which a person cannot be awakened and cannot move, see, speak, or hear. Complications from cholera are usually the result of severe dehydration. Seizures * , abnormal heart rhythms, shock * , damage to the kidneys * , coma * , and death can occur. Children, especially infants, are more likely to develop complications than adults because they are more prone to developing severe dehydration and body mineral imbalances. not bringing seafood from abroad back to the United States. Vaccines * for cholera exist, but their effectiveness is short lived and none are provided or recommended in the United States. * vaccines (vak-SEENS) are preparations of killed or weakened germs, or a part of a germ or product it produces, given to prevent or lessen the severity of the disease that can result if a person is exposed to the germ itself, Use of vaccines for this purpose is called immunization. U.S. Centers for Disease Control and Prevention (CDC), 1600 Clifton Road, Atlanta, GA 30333. The CDC is the U.S. government authority for information about infectious and other diseases. It has a fact sheet about cholera at its website. World Health Organization (WHO), Avenue Appia 20, 1211 Geneva 27, Switzerland. WHO's communicable disease surveillance and response division posts a global cholera update at its website to report numbers of cholera cases and deaths worldwide.